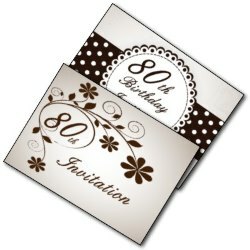 Finding the perfect 80th birthday invitation! When you get to 80 you sure have something to celebrate! 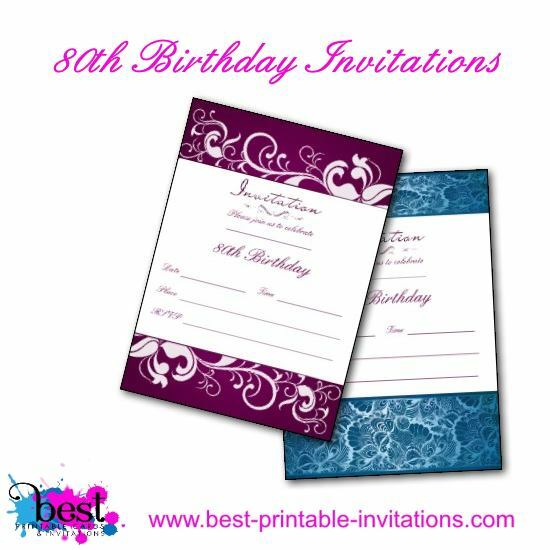 But how can you invite your guests stylishly - without it costing the earth? 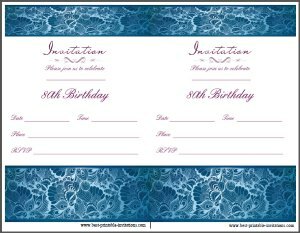 These free printable eightieth party invites are the answer. Pick your favorite and print off straight away. On this page I have two invitations to tempt you. 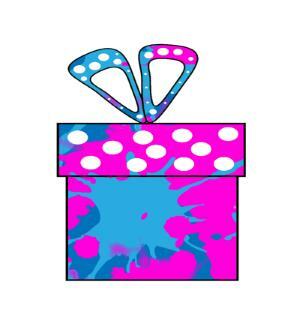 A beautiful bright purple one, and a sophisticated blue design. Take a look down the page to see which you prefer. Purple and sophisticated! I thought an 80th birthday deserved something special. 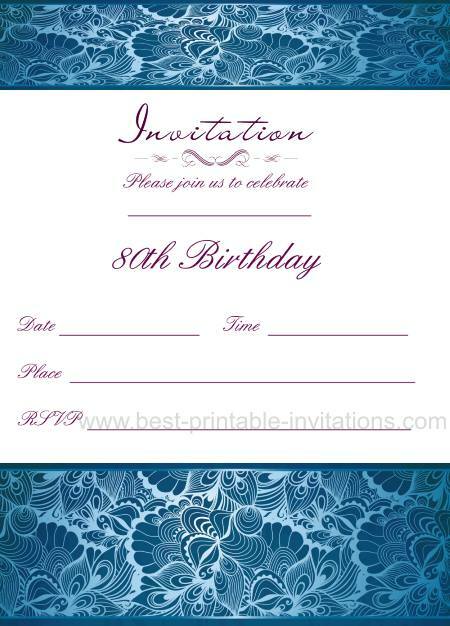 The color in this invite is rich and warm. Because of the dark splash of color it prints two to a page so you save ink. 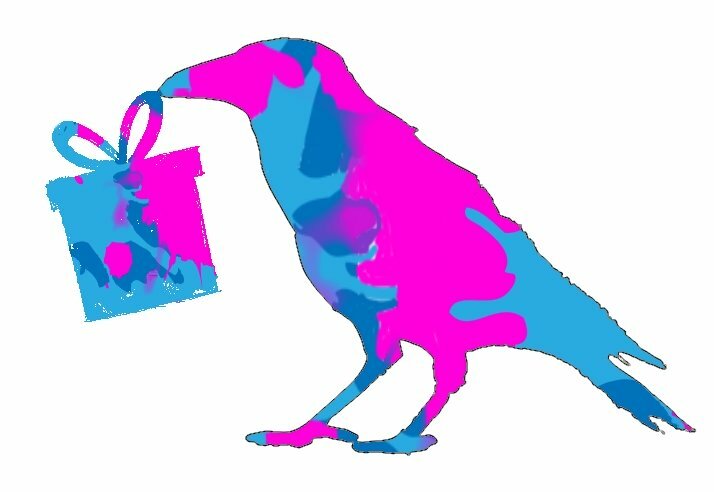 I absolutely love this design and I hope you do too. Such a special occasion deserves a special invite. 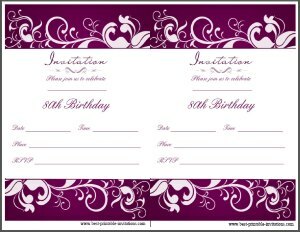 Why not have this invitation printed for you - and delivered through the mail. 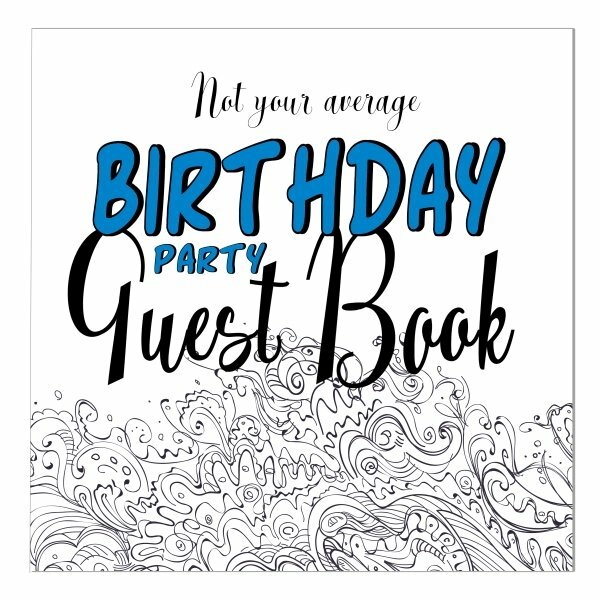 You can customize this card with your own party details - including the text and the font style used. 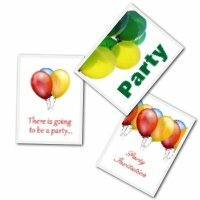 Then you can order the exact quantity you need for your party. Still rich and sophisticated, but this time in blue. Just right for a male birthday. This invite prints nicely, two per page. Just cut apart before filling out your celebration details. 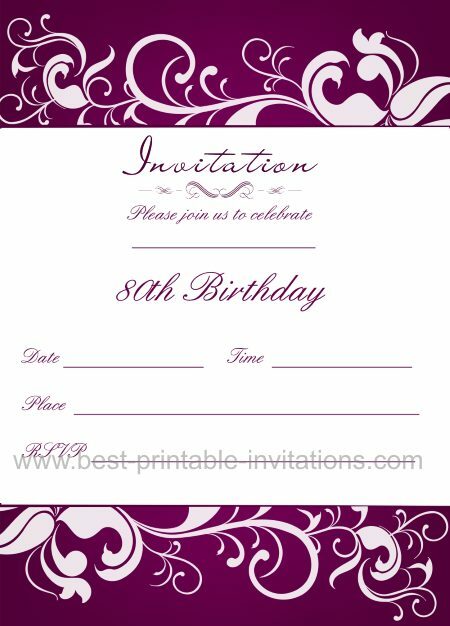 Don't forget to print out some spare invitations. It is good to have some on hand for last minute guests! 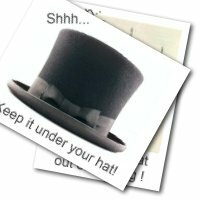 If you are making a memory book of the day, then you could also paste a copy into that. For my stepdad's 80th we made a 'my life book' all about his life. We used a mix of photographs of him with his friends and family. He really loved it. When he had a stroke a few years later we took it into hospital. It caused quite a stir with the nurses who spent a lot of time looking at it and asking him questions about his life. We loved that through the book they saw him as a 'real' person and not just a sick man. And I am happy to say he made a good recovery and is back home again! If you would like to have a similar book printed then google 'photo books' to find online companies that do it. 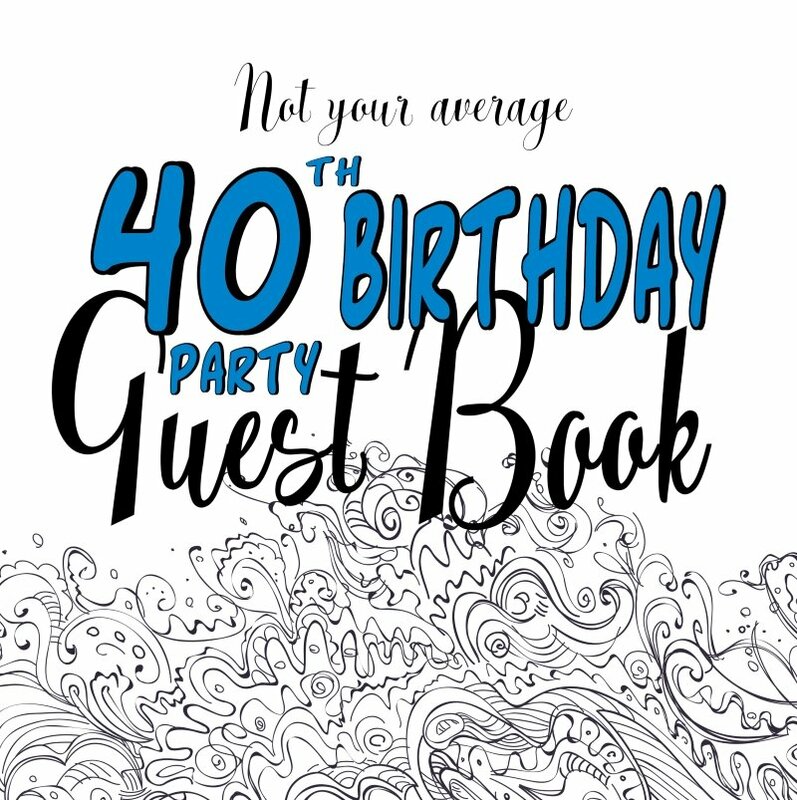 Still looking for an invite? Try one of these.